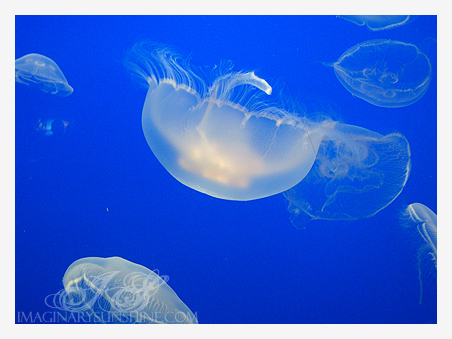 More on my day at the Vancouver Aquarium with my sister. We actually didn’t pack any lunch food to take in with us (a lot of people seem to bring in their own food – the prices there are pretty outrageous with a small soft-serve ice cream cone at $3.50!) beyond snack foods (granola bars, bananas) and a bottle of water for each of us. So we were pretty hungry and I was getting pretty tempted by the (overpriced!) ice cream. Luckily, cooler heads prevailed (sort of, it was a pretty hot day outside!) and we later got ice cream (and actual lunch food) when we left the aquarium (and Stanley Park). 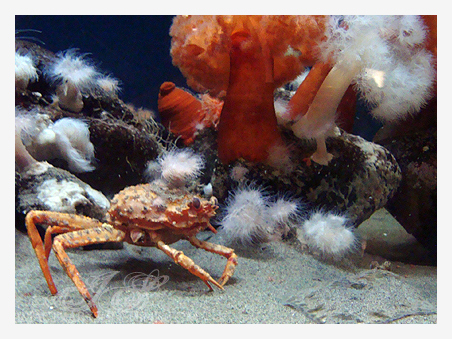 A crab with a sea anemone on its shell for protection purposes – how awesome is that? Sea anemones sting, so if someone were to try to eat the crab, they’d get stung instead. The crabs, in return, carry the anemone to different areas for feeding, and when they’re feeding themselves, they create a current with their front claws so it provides the anemone with food as well. It’s a pretty nifty symbiotic relationship that they have. Adult moon jellies! 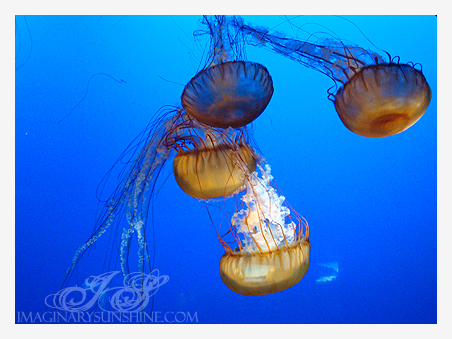 I loved learning about jelly fish when I was taking my invertebrates zoology course. 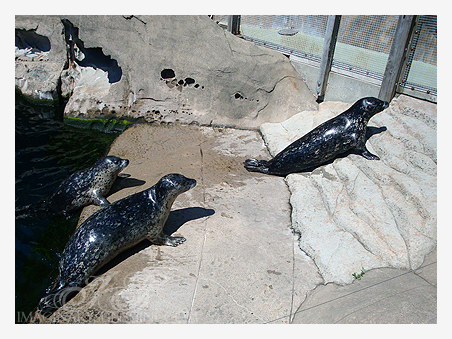 Harbour seals! They’re quite adorable and very round like little seal sausages. When they were going back towards the water, they kind of just turn to one side and roll down! 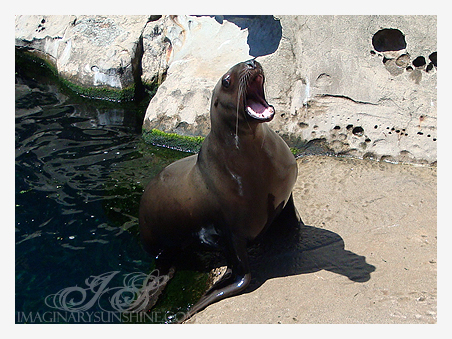 This was either a Harbour Sealion or a Stellar Sealion (there was both in the same large tank and I can’t identify them!). I managed to snag a shot while it was barking. 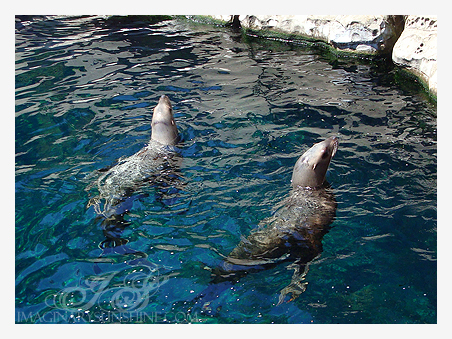 Harbour sealions/Stellar sealions, they were both keeping their eyes on some of the people who worked at the aquarium (who were carrying small coolers of fish!). My favourite shot out of anything I took on Saturday: a sleeping sea otter. 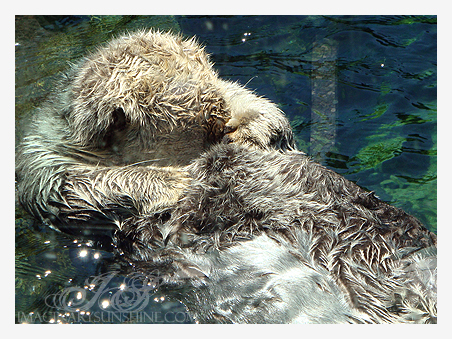 I have a huge love for sea otters, they are considered to be a keystone species. They have a unique relationship with sea urchins and kelp! See, the sea urchins mow down the kelp forests at an astounding rate and they’re one of the foods that sea otters eat. Without sea otters, the sea urchin population is left unchecked and that completely destroys the kelp forests, which is home to many other animals. 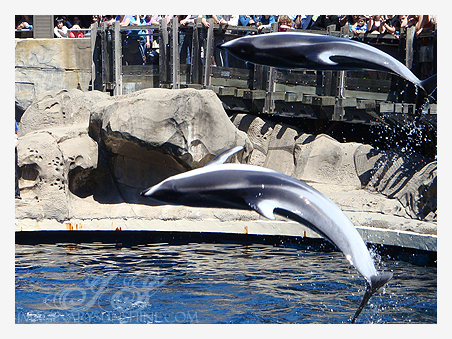 Two of three of the Vancouver Aquarium’s Pacific white-sided dolphins. 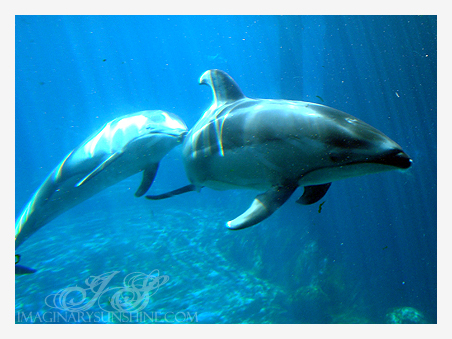 The aquarium only has the three dolphins – all of them were rescued and deemed unreleasable due to injuries sustained when they were rescued. But they’re so amazing and very playful and willing to ham it up for the camera (and for fish). There’s a whole area for frogs at the aquarium. 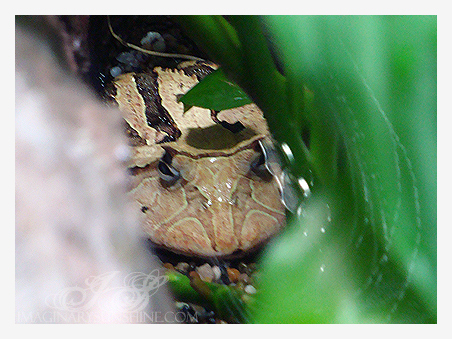 This little fellow was hiding out at the back of his terrarium – I guess all the noise from the visitors can be pretty bad at times. The Pacific white-sided dolphins again! They’re completely white on the ventral and dark grey (with streaks) on the dorsal side, for evading predators. They were incredibly playful in the underwater viewing area (after the dolphin show) and seemed to really like interacting with the people in the viewing area. They’d come right up to where little kids were putting their hands up against the glass and touched against the glass before swimming away again. This is from the viewing area for the belugas. 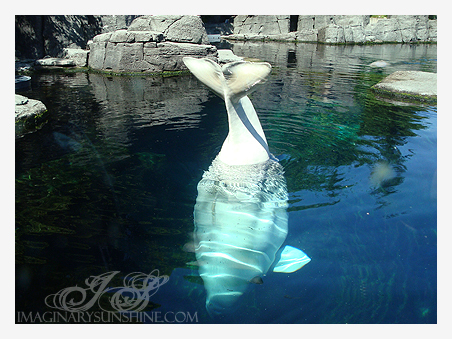 The aquarium has 5 belugas – 1 male and 4 females. Of the females, two of them are babies (so they’re grey in colour) and the two adult females are actually mother and daughter. Each of the adults has one calf, so there’s three generations of beluga whales in one tank! This is the best shot that I got that day and it’s of one of the adult belugas waving with her tail. oh wow… you take amazing photos! This makes me want to go to the aquarium! The last time I went to an aquarium was for bio 11….. Thank you 😀 The aquarium is a *lot* of fun, and all their shows are fabulous! I was looking on their website about their ‘animal encounters’ – it’s extra money on top of admission, but you get up close and personal with the animal of your choosing (dolphins are the most expensive, I think hanging out with the sea turtle is one of the cheapest encounters), I’m particularly infatuated with the sea lions/seals and the sea otter, so I’d *love* to go back and do something like that.